She’s always been one to hold my hand. This youngest little girl of mine happily slips her hand into mine when we’re out shopping together or running errands. Her older siblings weren’t always so willing. Some of them let me take their hand as we crossed a busy parking lot, but tugged to let go once we hit the sidewalk. Sometimes they’d hold my hand but pulled to go a different direction. Or resisted altogether, wriggling to get free as I clamped down even more firmly. But not my youngest. Though she’s now past the age where she needs to hold my hand, she still reaches for it. It’s a place of warm security and a sweet expression of love as her hand rests in mine. I’ve often been like my older kids – tugging against God’s hand rather than resting in it. I’ve struggled to trust God’s hand, to trust that His direction is best. photo creditI’m so excited to introduce you to Christy Mobley, a writing friend I met online initially until we realized we lived in the same town. Over chicken salad, we swapped stories of kids and families, grief and hope. 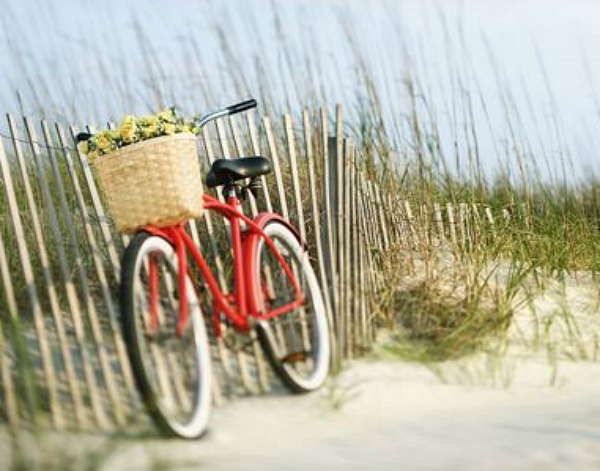 Christy was authentic from the get-go and she’s sharing a faith story today for Hello, Monday. Everybody needs a faith bomb dropped on them every now and then. You know what I mean, a God thing. A God wink. The incidental happening that couldn’t possibly be mere happenstance. The place where we see and experience God at work and become infused with fresh faith. Faith bombs are like that, they bolster assurance—fortify beliefs. 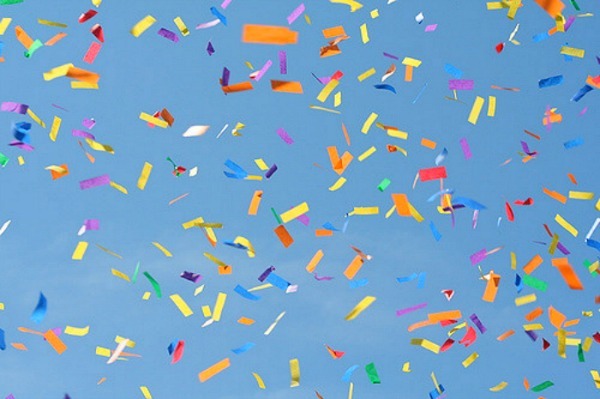 And when such a thing occurs and we share the story, like an explosion of confetti at a parade, every receiving heart gets sprayed with new-found hope. Bonnie had been distraught for months over losing a pair of earrings. They were’t just any earrings they were diamond studs and one of the last treasures her husband gave her before he passed away. She had searched high and low for them, every inch of her house—every drawer, behind ever piece of furniture, even under beds. It pained her. Losing them was like losing Chris all over again. Bonnie’s oldest daughter Meghan had shared her mother’s hurt with her friend Jaime, who coincidentally had a similar story. Her mother’s husband (Jaime’s father) had also passed away about seven years earlier and her mother had oddly enough lost a pair of earrings he had given her. After much prayer by the two of them she miraculously found her special gems. 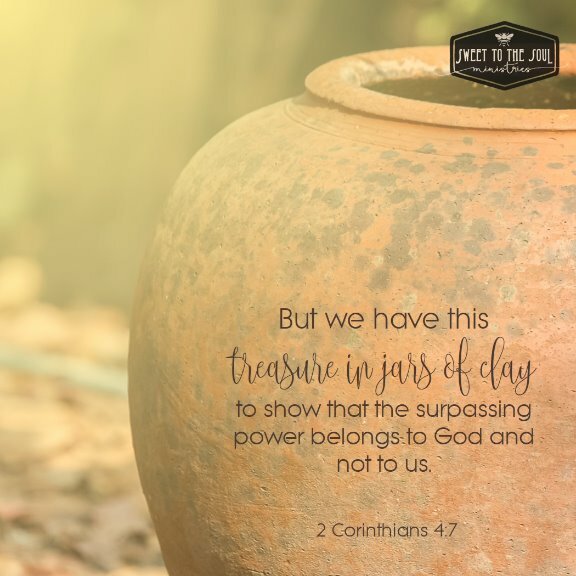 Believing in the power of prayer and that God cares even about the small things, Jamie asked Meghan if she could help carry her burden and pray for her mom’s situation. Unbeknownst to Bonnie, the two girls started a prayer vigil, daily asking God to intervene and for Bonnie’s precious remembrance to be found. Christmas came and went and still no earrings. Meghan had actually gone over to the house and searched for them herself. She so wanted to give her mom the desire of her heart for Christmas. Bonnie had decided she must have mistakenly put the earrings in the bag that went to the thrift store months earlier. She just couldn’t worry about it anymore. A few days before Bonnie’s birthday Meghan and her husband Jack came over to pick up an old chest of drawers Bonnie told them they could have for their home. Before taking it away Bonnie scavenged through the drawers one last time in the off-chance she missed something, but she came up empty-handed. In hauling the heavy chest down stairs at one house and up the stairs at the other, the drawers flopped open multiple times. If anything was in there it wasn’t anymore. Meghan got the chest set up in her own home and went about preparing the drawers for her treasures. One of the cabinet pulls was missing and when she opened the bin to retrieve it, to her marvel THERE THEY WERE, the missing earrings—perfectly placed as if someone had gently laid them out minutes earlier. If there was a Richter scale for faith, Meghan’s would have been off the charts! Between sobs and squeals of joy she ran downstairs to tell her husband and call her friend Jaime. Meghan couldn’t give Bonnie her Christmas wish but she could give her a birthday she would never forget. This was the story Bonnie wanted to tell me. The faith bomb with which she intended to bless me. Now in turn, I wish to bless you. 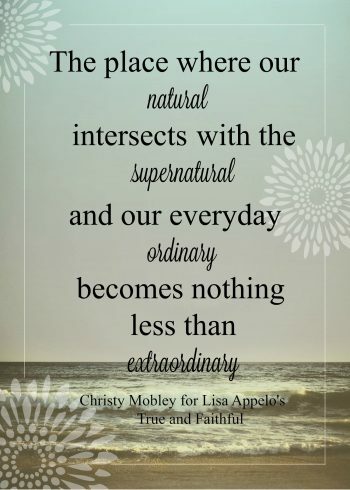 There is nothing quite as awe-inspiring as experiencing the place where our natural intersects with the supernatural and our everyday ordinary becomes nothing short of extraordinary. It’s the place where we see God at work and fully acknowledge that He sees us. He sees the desires of our hearts…and fulfills them. Looking forward, pressing on, seeking God in every bump and twist in the road. 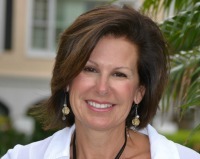 Christy is a wife, mother, mother-in-law, mentor and speaker. She chases tennis balls for recreation and at the end of the day she does her best thinking in the tub. You can connect with Christy at Joying in the Journey christymobley.com, Twitter, and Facebook. Monday hit hard this morning. It wasn’t so bad while I lay in bed thinking over my day but as soon as my feet hit the floor, all the pressing needs and things left undone loomed large. My phone started dinging and what started as re-direction for one of my kids turned into a long reminder of where I need to focus as a parent. The day began to get ahead of me before I could get to my quiet time. By the time I shut the car doors of my war room, I felt unsuccessful, overwhelmed, incapable. My eyes caught on a journal entry – apparently I felt the exact same way five months ago and then again a few weeks later. 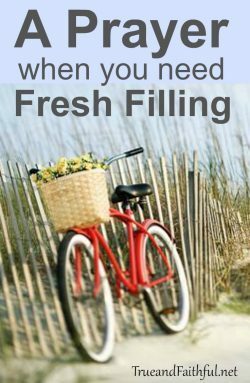 I admit that I usually do come to my quiet time in desperate need of a fresh filling. This morning was no different and I began to pray that God would fill me from the top of my head to the tip of my feet. Take my mind, Lord. Demolish every argument and every pretension that sets itself up against Your truth and help me take every thought captive to obedience to Christ. Let my self-talk preach Your truth to me today. Let me dwell on your Word and on Your character and on Your promises. Let what I know rule how I feel. Take my eyes, Lord. Help me see You in every circumstance today. Give me eyes to see the world as You see it, to notice Your good gifts and the grace that You lavish. Help me to see the logs of my own sin rather than the splinters in others. Take my ears, Lord. 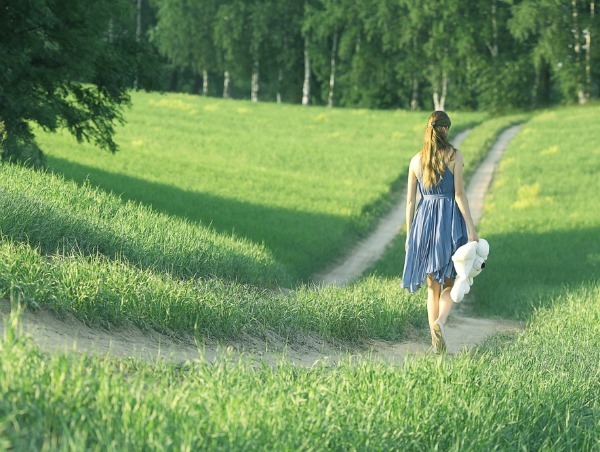 Let me to hear Your voice behind me saying, “This is the way; walk in it.” Give me ears that hear and respond. Keep my ear inclined to You and do not let the din of this world drown it out. Take my mouth, Lord. May I speak of You today; may I praise You. When a rebuke is needed, help me find words that will train my children and not tear down. Set a guard over my mouth, LORD; keep watch over the door of my lips. Keep me from an easy lie and hasty gossip. Give me Your words, sweet to the soul and healing to the bones. Take my shoulders, Lord and the burdens I am carrying. I give You all of it – my future, my worries, my fears, my needs, my shame. I give you my weakness and my incapability. I give You the tasks that overwhelm my plate today, that wear me down before I’ve even started. I take up only the yoke You’ve put around me for my good and guidance and I rest within it. Take my heart, Lord. May it be Yours alone. Help me root out every idol, to discern when I’ve set one in my heart and to do the hard work of cutting it out. Chisel out every trace of self-worship, of self-glory, of self-actualization. Anchor my emotions in Your truth and keep my heart steadfast. Give me a zeal for You, a passion for Your kingdom and a heart that beats for the things that You love. Take my hands, Lord. I release control to You. Both hands wide open. Help me to trust You completely. And whatever You’ve put in my hands to do, give me the energy and the ability to work hard at it and to accomplish it. Take my stomach, Lord. Give me a craving for pure spiritual milk. Let me seek satisfaction only in Your Word and not with any quick or easy substitute. Do not let me skip a meal or try to work from yesterday’s provision. Help me understand Your Word, to dig deep for it and to rightly apply it. Take my feet Lord. Order every one of my steps today and let me be okay with where You direct, with what gets done and what doesn’t. Keep me from walking ahead of You and give me courage to follow where You lead today. So, hello, Monday. We commit every bit of ourselves and our day to you, Father. In the powerful name of your Son, Amen. Is anyone else doing a double take that it’s not only Monday but May already? My college kids are trickling home and we’re slowly transitioning to a summer schedule. Final exams are wrapping up and summer jobs will start soon. The days of sprinklers, popsicles and watermelon are just around the corner. Today, on this #HelloHappyMonday, it’s a joy to welcome Betsy de Cruz. Betsy has a passion for studying the Word and a passion for making it practical and applicable to our every day. For several years I listened and breathed a silent amen to my son’s prayer every Tuesday at breakfast. We always chuckled over that “Hallelujah, Monday’s over” prayer. Looking back now, I realize that I passed on to him my gloomy view of the first day of the work week. You know that feeling when you start the week bleary-eyed after getting back home from a trip late Sunday night? I feel that way most Mondays, whether I went out of town or not. I don’t feel ready to get back to regular work and school routines, so I often start Monday morning with a vague sense of dread. Do you ever feel the same way? Can I tell you what I’m learning? We have so much to be grateful for on Mondays. Each Monday brings a fresh start to a new week and one more 24 hour gift of life deposited right into our laps by the Creator and Sustainer of the universe. Monday is one more chance to see God’s faithfulness. It’s one more day is to serve God and shine His light in our world. I’ve decided to reframe Mondays into glory days. In fact, I’m renaming the day Glorious and Grateful Monday. Care to join me? Sometimes we need a bit of extra self-talk when we start a new week. all my inmost being, praise his holy name. God’s eternal, glorious nature doesn’t change just because I’m feeling tired or stressed out. He’s as worthy of praise on Monday as on any other day, so let’s give the day a makeover. Let’s make Monday glorious by focusing on praise and worship. For the rest of the Psalm, David continues listing more blessings that are ours simply because we’re God’s children. Let’s make Monday grateful by remembering the benefits that come with our salvation. What if we made a special effort to start each week well? Let’s give Monday a makeover by turning up our praise and thanks. Let’s make Monday glorious and grateful instead of gloomy. 2. 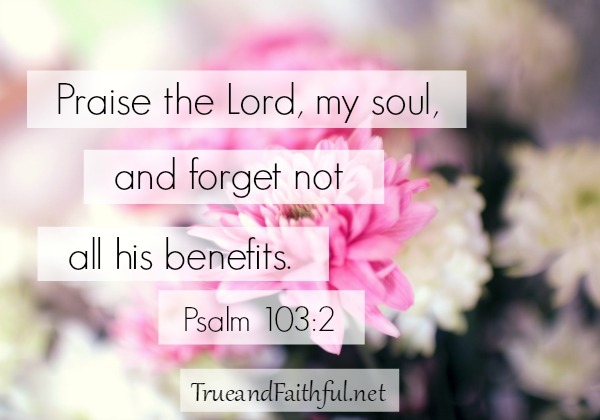 Read the rest of the Psalm and make a list of the benefits you see OR simply list blessings in your life that you are grateful for. Now it’s your turn: What blessing are you grateful for today? Betsy de Cruz enjoys God, life with teenagers, and dark roast coffee. She and her crazy nomad family are currently spending 9 months in Dallas, Texas, but they look forward to returning to Turkey, their favorite home. Betsy’s passion is to encourage women to get God’s Word in, so their faith can spill out, even during life’s bumpy moments. She writes about everyday faith at faithspillingover.com and you can also connect with Betsy on Facebook. I can remember our conversation like it was yesterday. I had called one of my mom friends to spill out my heart. We were both young and in the throes of homeschooling and parenting a house full of kids. She listened as words caught in my throat. She got it. She got the high calling we’d taken on as mothers, the high ideals we were aiming for as we corrected and trained and taught in the grit of everyday. I wanted so badly to be a good mom — to correct my kids with consistent patience, to respond in kindness to the third accident and hundredth question. But one of the kids had done something that afternoon that had triggered my frayed patience and I had lost it. How could I behave so badly? It’s not like I didn’t know better. I was reading all the books, I was in a weekly Bible study, I even sat my kids down every morning for some Bible time together. I wasn’t just feeling crummy. I felt downright unqualified. How could someone who called herself a Christian mess up so badly? Has that question ever pulled at your conscience? 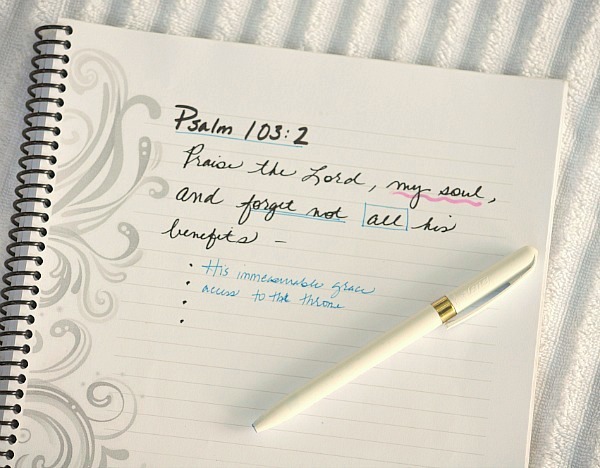 I’d love for you to join me at Sweet to the Soul Ministries to see how God ushered in peace. If you’d like posts delivered right to you, you can subscribe here and I’d love to send you my 100 Days with Christ Bible study as a thank you. Copyright and all rights reserved.